Ready, Set, GO!!!! 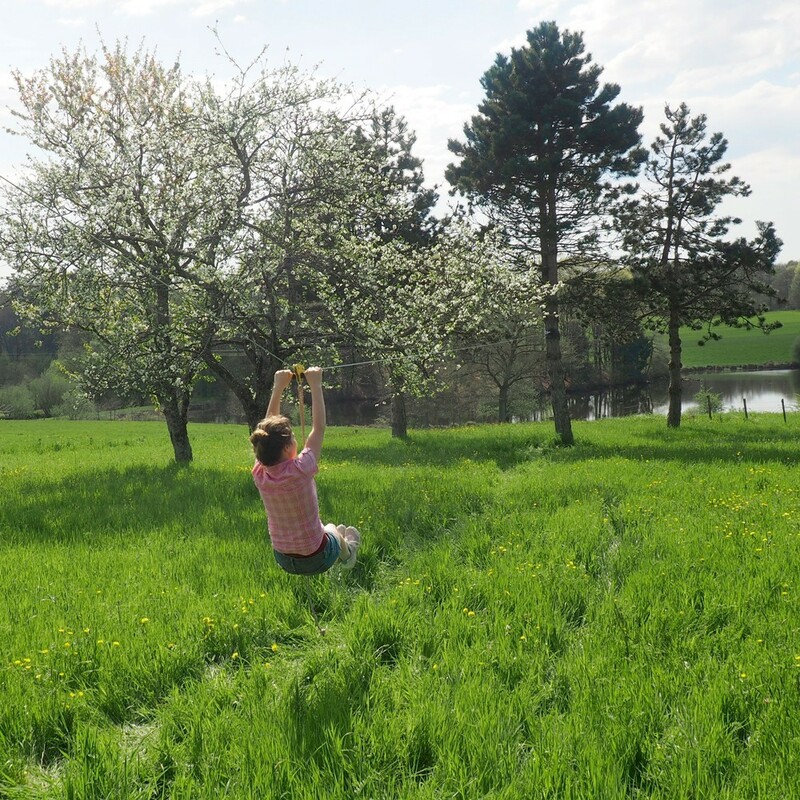 Experience the thrills of a zipline in your own back garden! Both children and adults will love it! 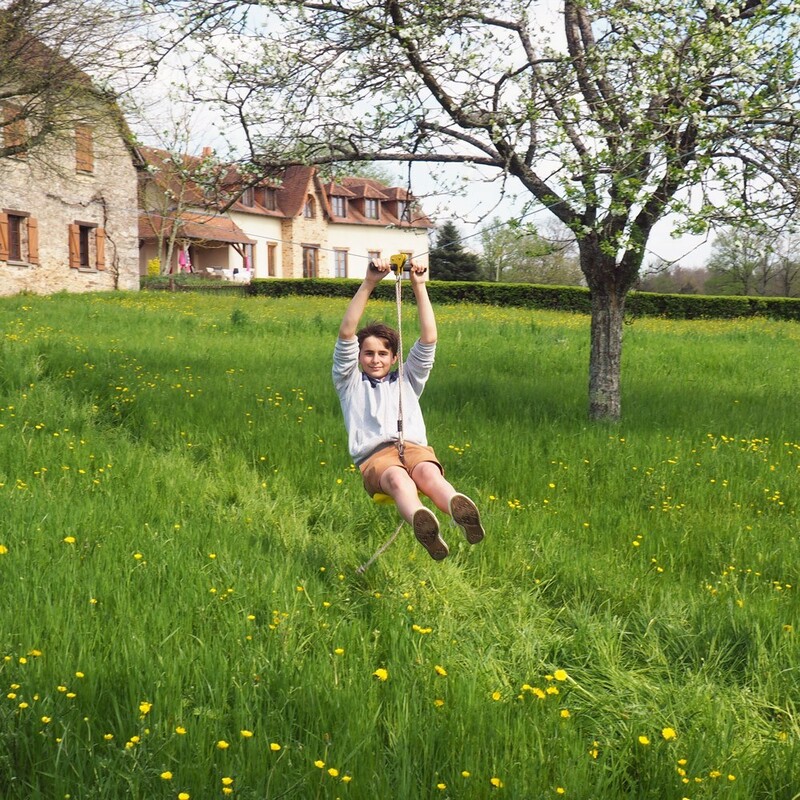 THE zipline to install in your garden! 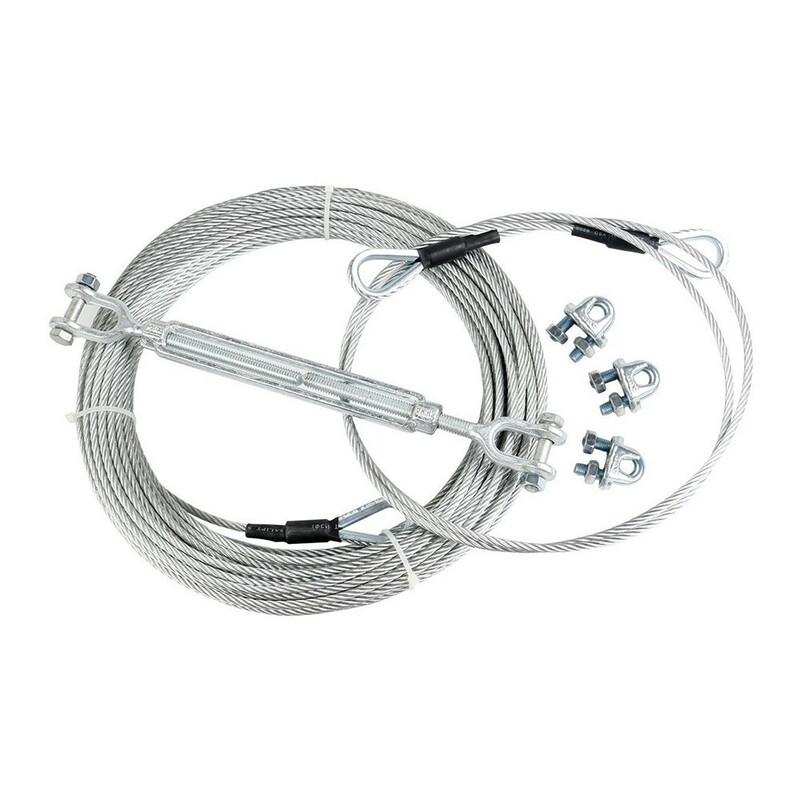 - A complete kit, ready to install in your garden! 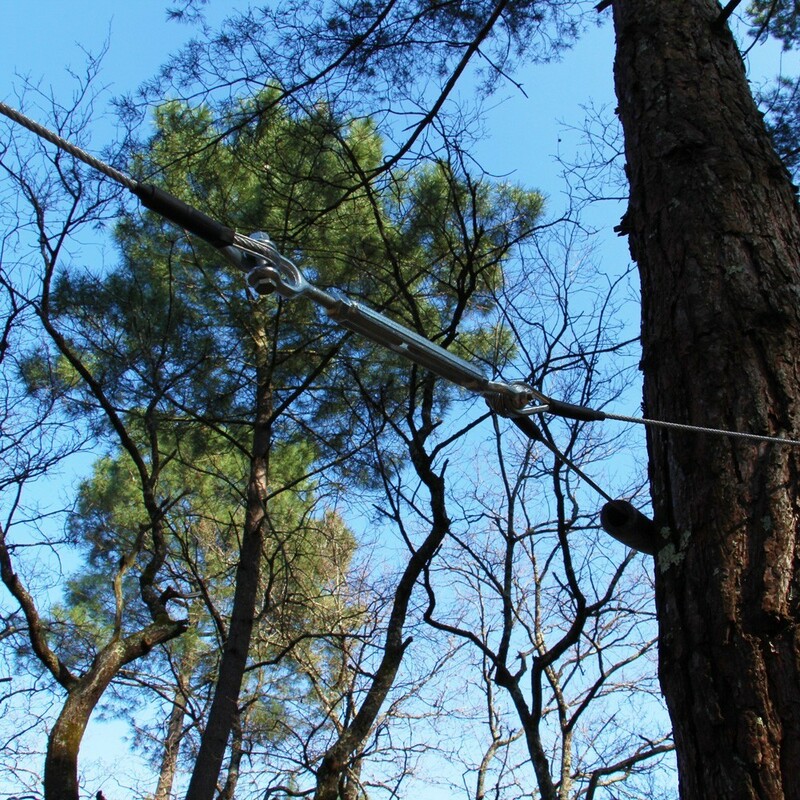 Easy to set up, our Indiana zipline can be fitted between two healthy trees with trunks of minimum 92cm. 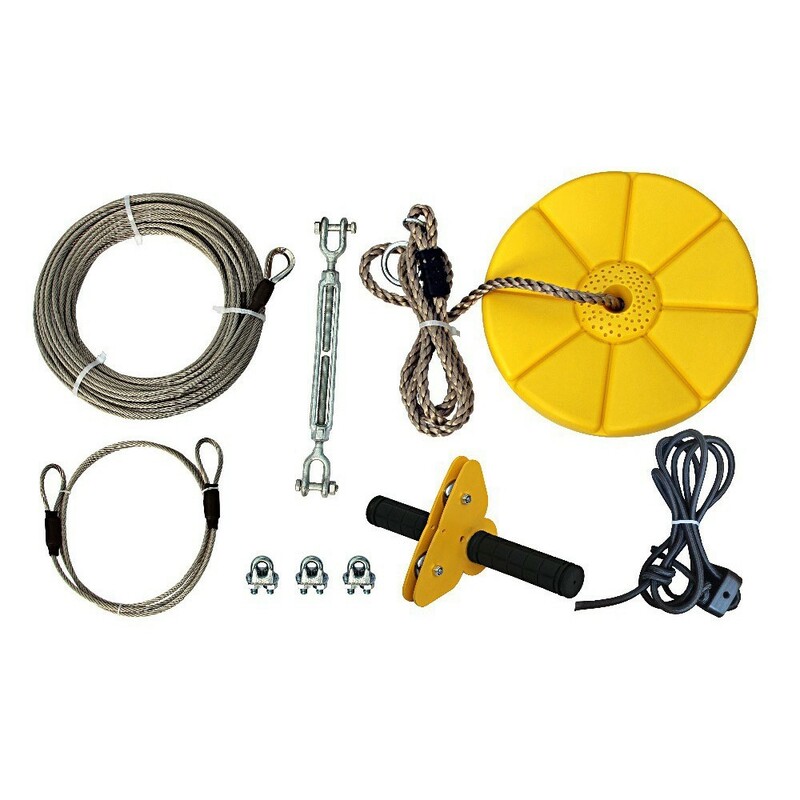 - This kit is made of solid and reliable material: a yellow pulley with non-slip handles, a 28m galvanised steel cable (Ø 0.5 mm), a sling cable, cable ties, a yellow seat with a suspension rope, a braking system for user safety and a tensioner. 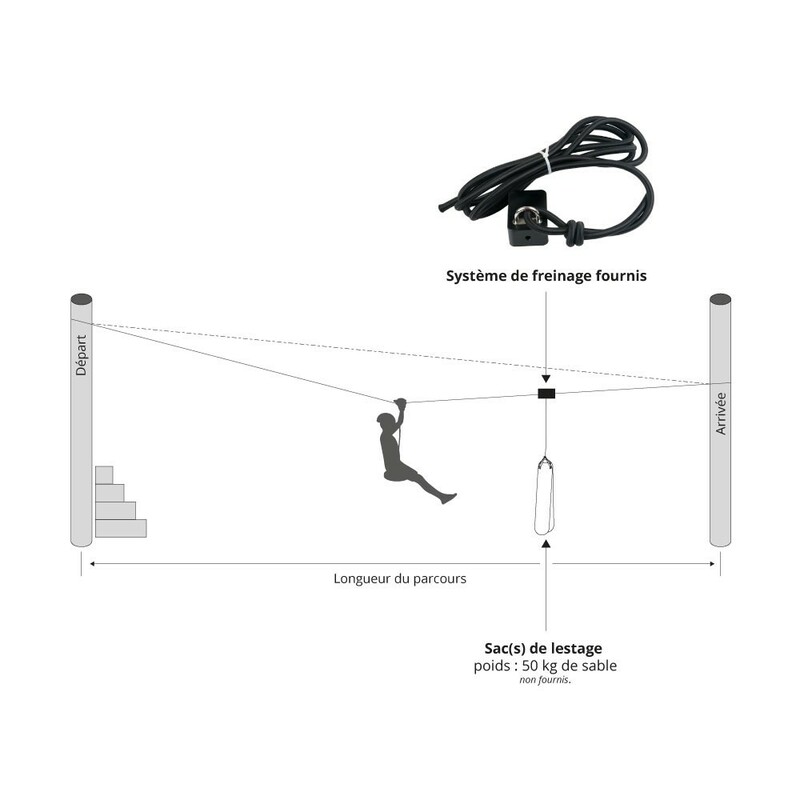 - Build your own obstacle course at home! 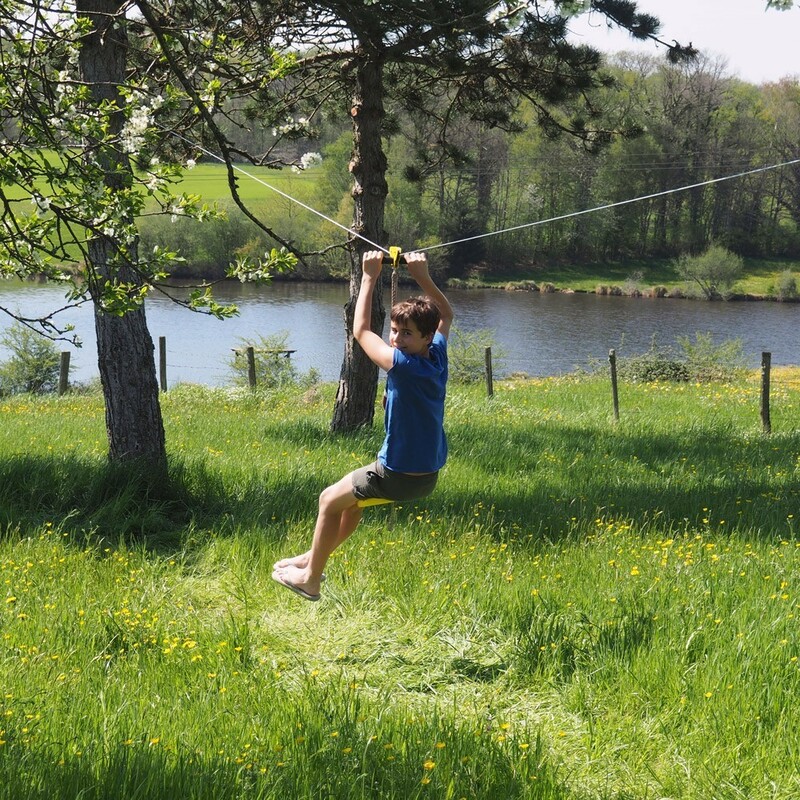 We advise you to set up your Indiana zipline above soft ground (grass, sand, etc.) to avoid injuries in the case of a fall. 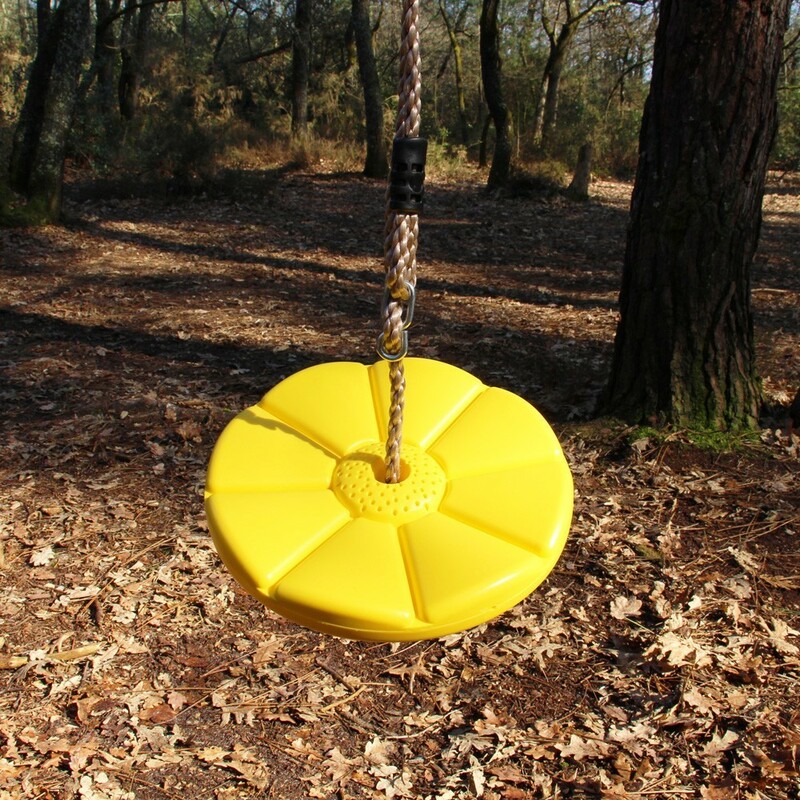 - The Indiana zipline is a fun game for children from the age of 3 (under adult supervision). Maximum weight 110kg. 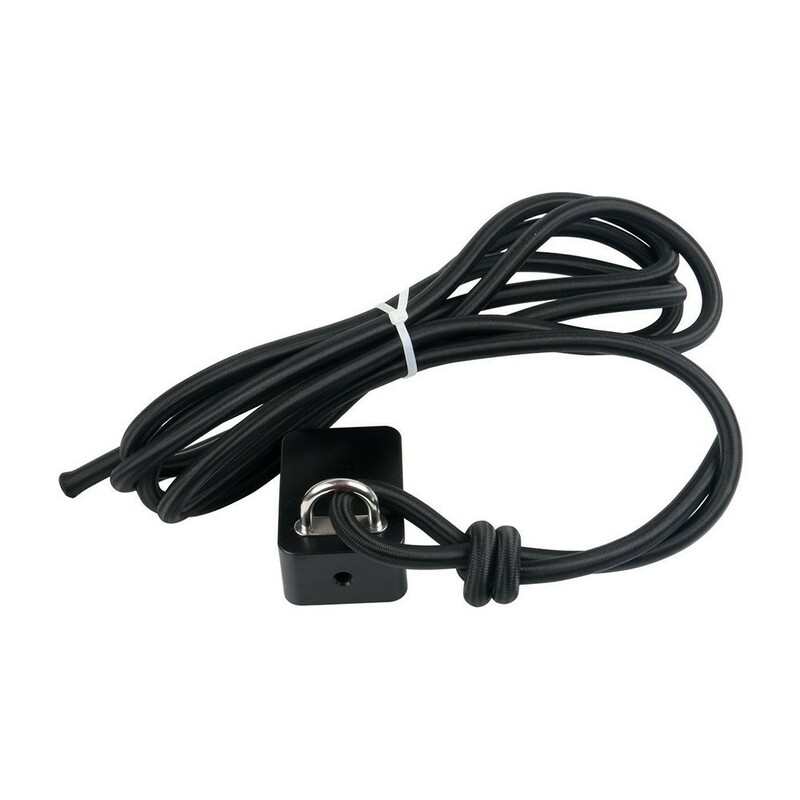 - Easy setup, an assembly manual is provided. Do not forget to disassemble it in negative temperatures. 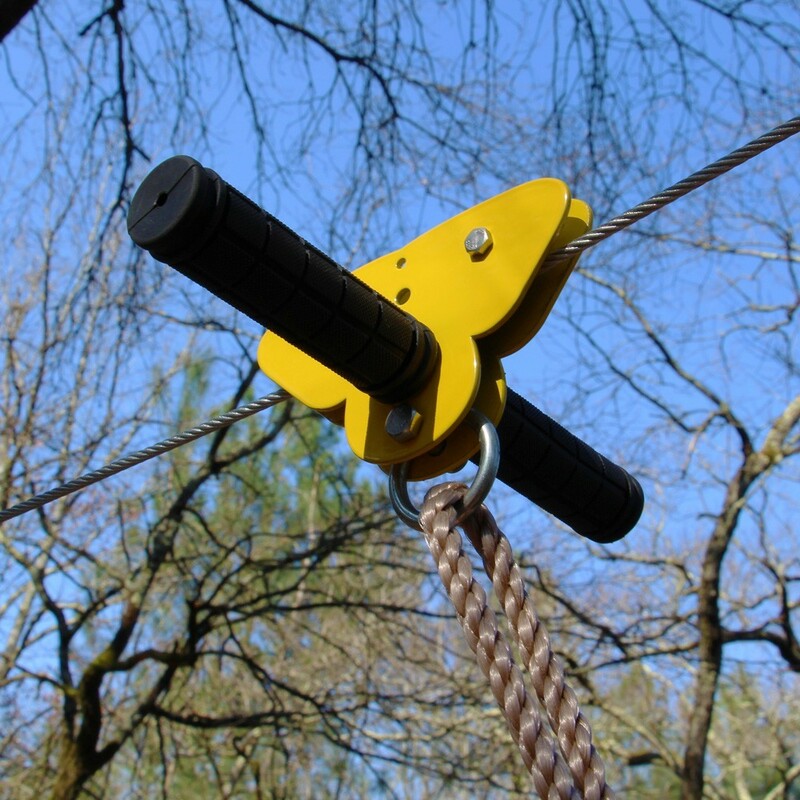 When sitting on the zipline button seat, you must be able to reach the pulley handles. 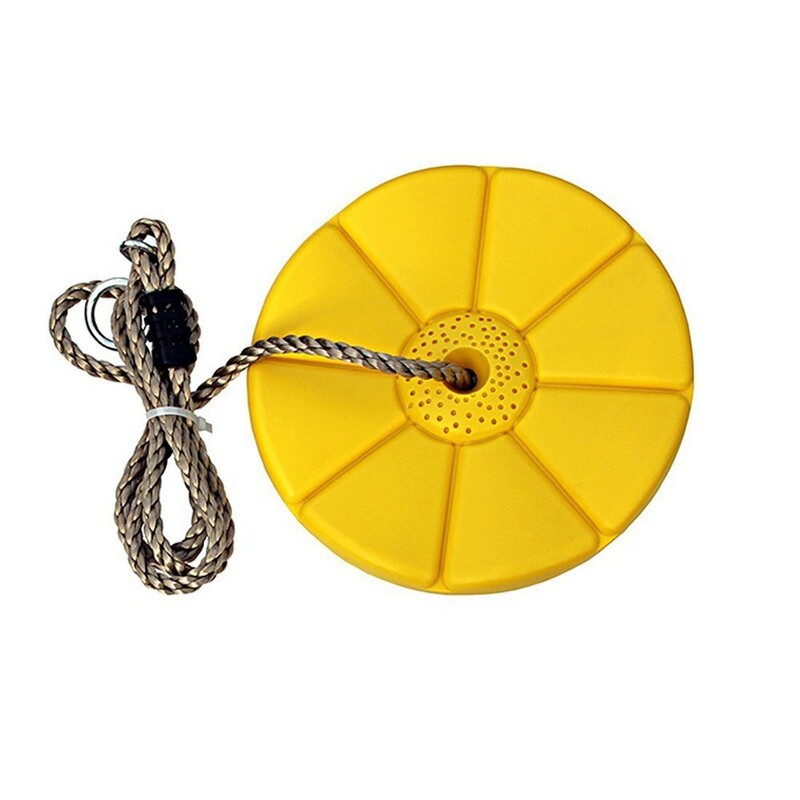 1 - Move the "S" shaped fixing on the rope, between the seat and the pulley. 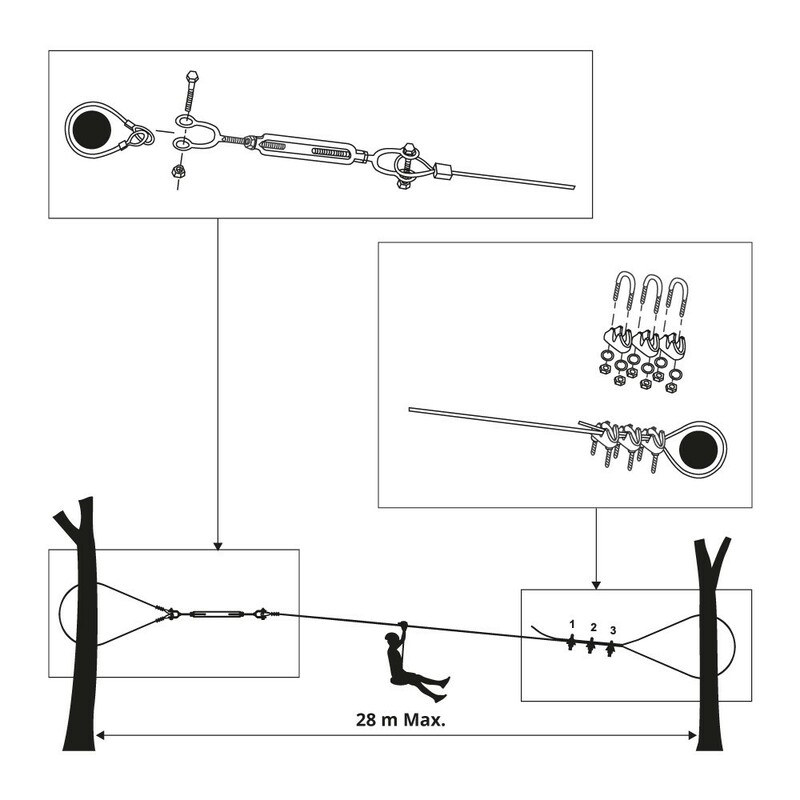 2 - If this is not sufficient to reach the handles tie a knot in the rope, under the seat. 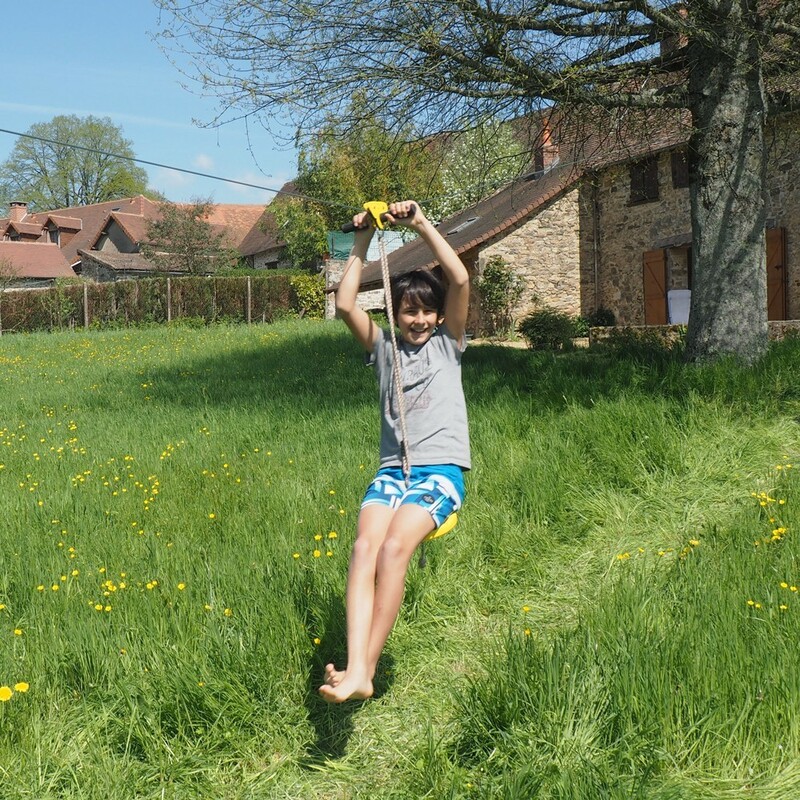 This complete kit lets you install a real balancing act in your back garden! 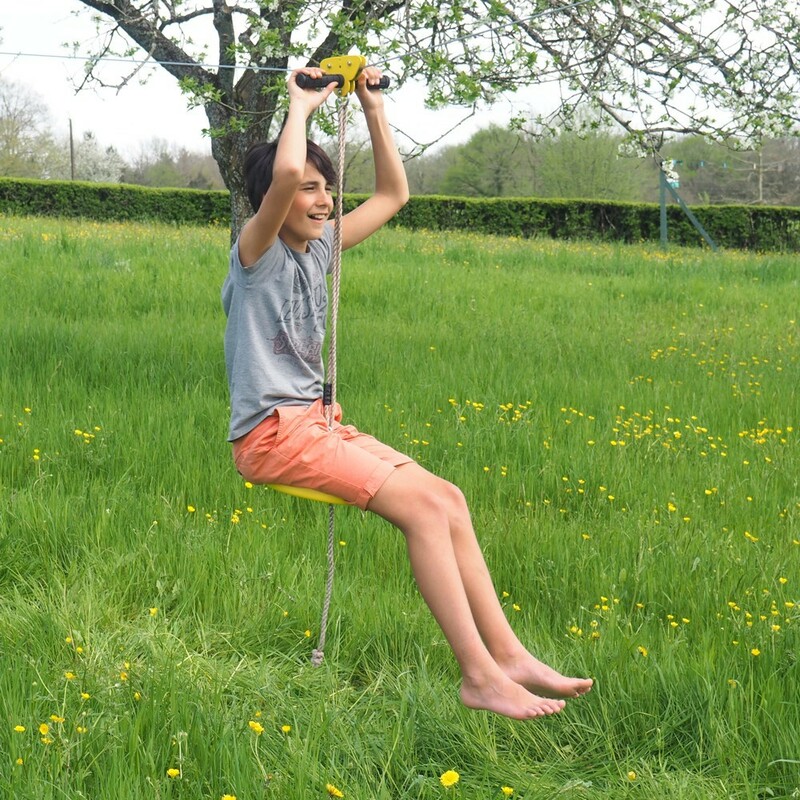 This 28-m steel cable will provide you with hours of fun and entertainment, and is easily adjustable to fit any size garden. Children, teens, and adults… all fans!!! Who has never dreamed of sailing through the air like Tarzan? 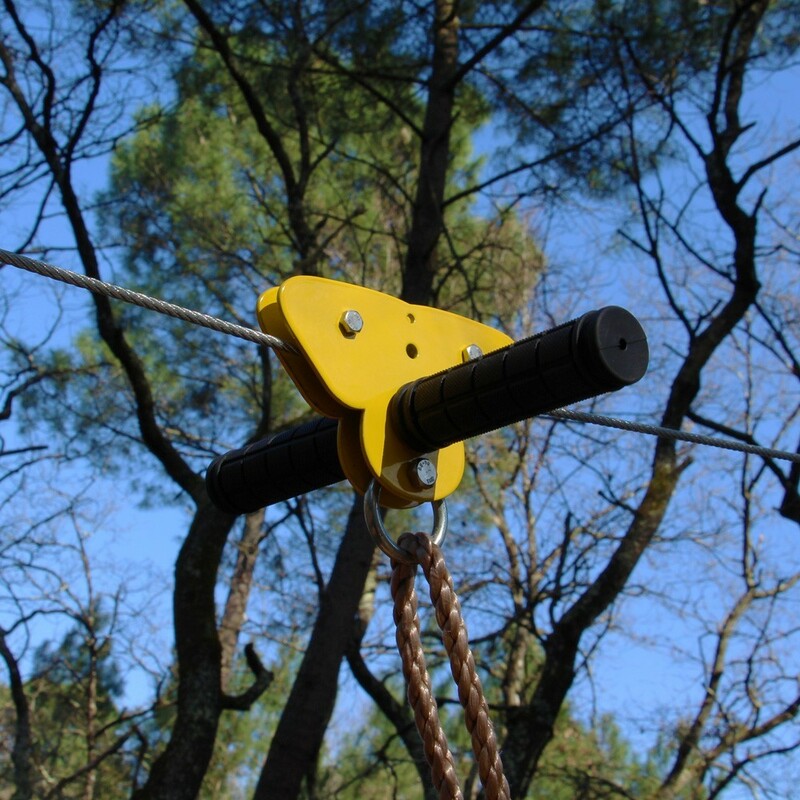 The Indiana zip-line is an exciting ride for adults, teens, and children over the age of 3. 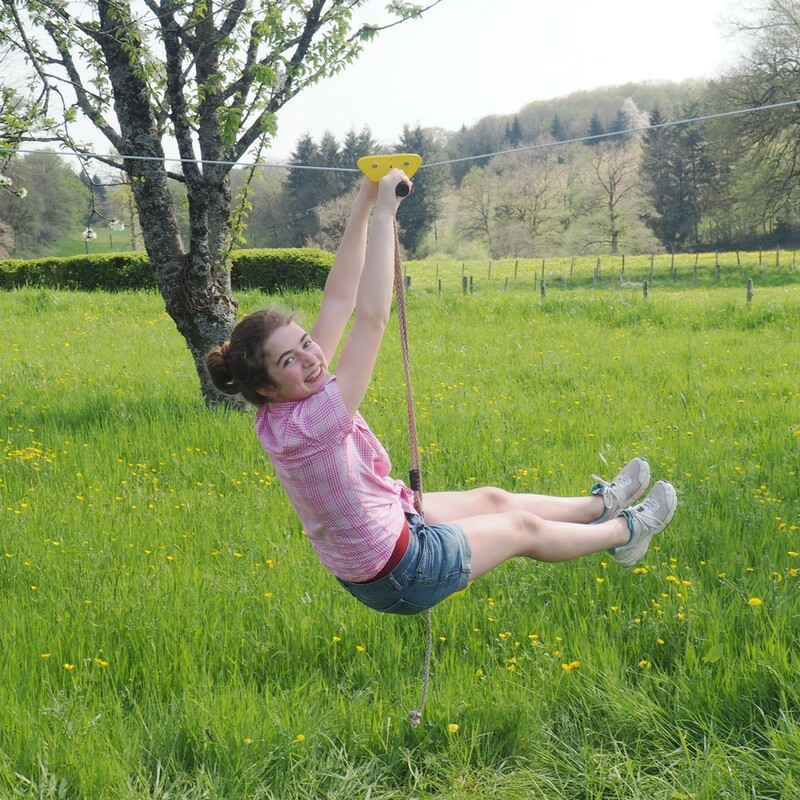 Share some thrilling family times on this zip-line!